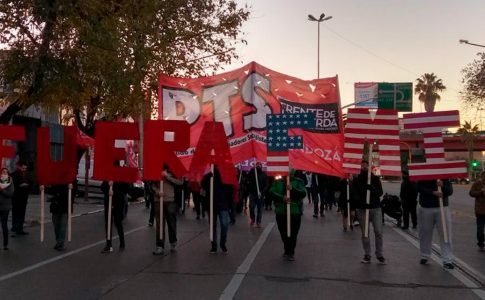 From Feb. 17 to March 3, internationalist socialists from 14 countries met in Buenos Aires for the 11th Conference of the Trotskyist Fraction-Fourth International (TF-FI). This is the first of three articles summarizing the main political debates. The first of two intensive weeks began with a seminar on the book “Socialist Strategy and Military Art” (Estrategia socialista y arte militar), presented by the authors, Emilio Albamonte and Matías Maiello. We started off by conceptualizing political tactics as the art of conducting isolated operations and strategy as the art of winning or seizing power, following Trotsky’s analogy of political work with the science of war. Participants discussed several issues, including the relationship between program and revolutionary strategy. On this point we noted that revolutionary Marxists—in contrast to Keynesians and neo-Keynesians, who argue that reforms can be achieved independent of the great catastrophes that have historically been imposed by capitalism—seek to respond to the deep tendencies of capitalism in its imperialist epoch, and to the catastrophic crises and large-scale wars that impose on the masses “suffering beyond the usual,” paving the way for revolutions. This is a fundamental issue in political and programmatic struggle. Participants also discussed the dynamic articulation of class, party and leadership. On this question, they took up Carl von Clausewitz’s theoretical framework of the “strange trinity”—the people’s hatred, the generals’ calculations and government policy—as an element in every war. 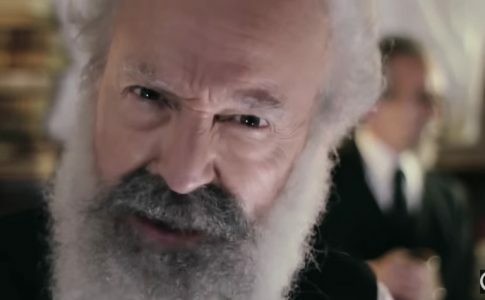 They then discussed one of Trotsky’s fundamental (unfinished) texts, written at the end of his life, “Class, Party and Leadership,” in which he explains the complex relationship between the objective and subjective factors that determine the evolution of political situations. In opposition to fatalistic visions, according to which the self-dissolution of capitalism will “grant” victories, Trotsky elaborated on the key role of leadership and the party, and on strategic work as a crucial element in achieving revolutionary triumphs. According to this view, the revolutionary party arises not, as many on the left tend to believe, through the “expansion” of the party apparatus itself but as a result of the battles waged by revolutionaries to develop the most progressive tendencies within class struggles. The seminar also addressed the workers’ United Front tactic conceived by the Third International. The tactic fosters unity in the working-class struggle against capital, going beyond the social and organizational divisions imposed by a range of (trade union and political) bureaucracies, winning over traditional leaderships and the great majority of the proletariat to the revolution. Today, this tactic is very much relevant, given the proletariat’s high level of fragmentation. But its meaning is largely misinterpreted as “left unity,” that is, as diplomatic agreements with sectors of the bureaucracy outside the class struggle, and even as political agreements with bourgeois or petit bourgeois currents. The seminar wrestled with the true meaning of the United Front tactic: Why is it a tactic, not a strategy? What is its relation to defensive struggles and to offensive ones? What is the meaning of partial “united fronts” (in specific trade unions, structures, etc.)? Where do revolutionaries have enough strength to use it? And what relation does the United Front have with other tactics developed by Trotsky in the 1930s, such as “entryism” and the “workers’ party,” which he proposed for the United States? Other discussions focused on, for example, the problem of maintaining the party’s center of gravity in extra-parliamentary struggles; the relationship between the development of the mass movement in revolutionary situations and the expansion of possibilities for resolving the military problems of the insurrection; the critical analysis of “attrition strategies”; and the characteristics of bureaucracies’ actions for defusing class struggle. All these discussions were marked by the living reality of today’s class struggles, which the different organizations of the TF-FI in each country are involved in. The seminar thus enabled not only a collective theoretical inquiry but also reflections on practice itself. Grappling with today’s living class struggles has been a key element in the development of “La Izquierda Diario,” the TF-FI’s international digital newspaper network (currently available in English, French, German, Spanish, Portuguese and Catalan, with a section in Turkish). These digital newspapers allow various organizations of the TF-FI, not only the Argentine PTS, to project themselves politically. Meanwhile, MTS in Mexico and PTR in Chile have obtained legal status to run in elections, MRT in Brazil achieved this through “democratic candidacies” (running on a PSOL ballot), and CCR in France has played an important role in the last presidential election campaign as part of NPA. All this electoral activity was aimed at strengthening class struggle and upholding a transitional program of class independence against capitalists. From the previous conference until the special meeting held in early 2017, TF-FI participated in important international processes, such as the fight against labor reform in Brazil, which lost steam because of the attrition created by the Workers Party (PT) and Central Única dos Trabalhadores (CUT) leaderships; also, to the extent that it could, TF-FI intervened in the independence process in Catalonia (launching “Esquerra Diari” in Catalan); and more recently, in the battle against the pension reform of December 2017 in Argentina. Furthermore, TF intervened in important specific class struggles, such as CCR’s participation in the strike by outsourced railway workers of ONET, one of the largest strikes of its kind in French railway history, whose triumph set an example for the fight against the precarization of labor. At the previous TF Conference (2017) we had approved and updated the call to construct a Movement for a Revolutionary Socialist International—the Fourth International. Knowing the magnitude of this task, and opposing all sectarian self-proclamations, we argue that constructing revolutionary workers’ parties and creating an international for social revolution (which for us means refounding the Fourth International on a revolutionary basis) will be not the product of the evolutionary development of our organizations or of our international tendency, but rather the result of a fusion of the left wings of revolutionary Marxist organizations and segments of the worker and youth vanguard oriented toward the social revolution. Although we have not yet come across large currents with which to merge, our call did have an important result in the form of a rapprochement with comrades from FIR of Italy, with which TF-FI has a liaison committee. FIR comes from the Partito Comunista dei Lavoratori (PCI), an ex-member of the international current led by the Argentine Partido Obrero (PO), and the PCI’s militants constitute the majority of PO’s youth. They have militants in Rome, Naples and Bologna, and they publish the digital newspaper “La Voce delle Lotte” (www.lavocedellelotte.it). We also had a rapprochement with comrades from Resistencia Sur in Peru, with whom TF-FI is holding discussions on strategy and program, as well as joint activities (by means of Pan y Rosas Perú, around “La Izquierda Diario,” etc. ), and more recently with comrades of Organización Socialista from Costa Rica—originally from the tendency Socialismo o Barbarie—who participated as a delegation in both the seminar on strategy and the TF-FI conference. In the United States, Left Voice has made progress in maintaining an English-language digital newspaper that is already a reference point among the left and the vanguard. 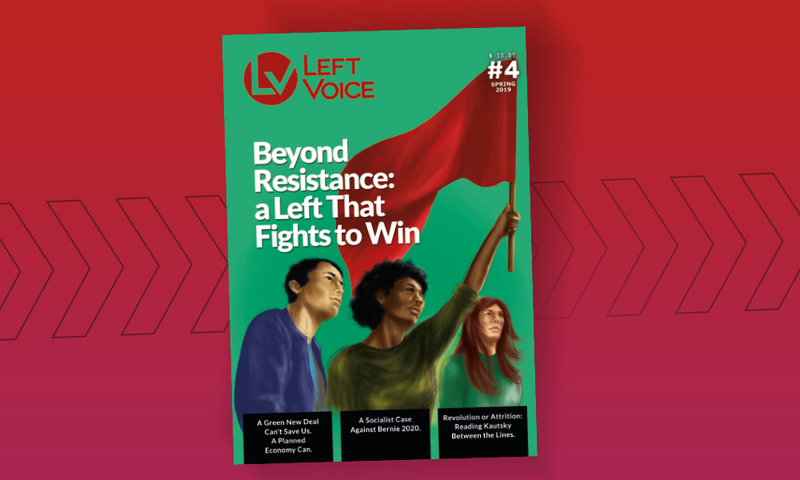 Various issues of Left Voice have appeared in print, and comrades collaborate around the digital newspaper (some of them visited Argentina the past summer to learn more about PTS), getting their first experiences in class struggle and in political struggle to inspire thousands of North American youth who are turning toward the left. The development of the TF-FI’s groups has made it a more complex entity, with its composing organizations at four different stages. 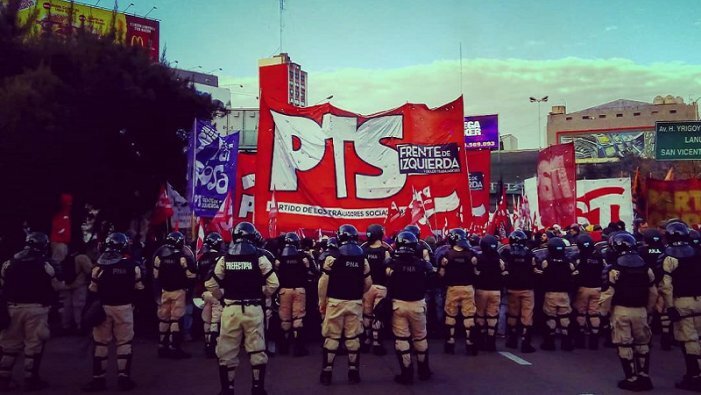 First, PTS is currently taking up the challenge of laying the foundations of a vanguard party in Argentina. Second, we have propaganda and action groups in Brazil, Chile, Mexico and, more recently, in France, where the CCR has been gaining strength within the left wing of the NPA. Third, there are propaganda groups active in Spain, Bolivia and Germany. 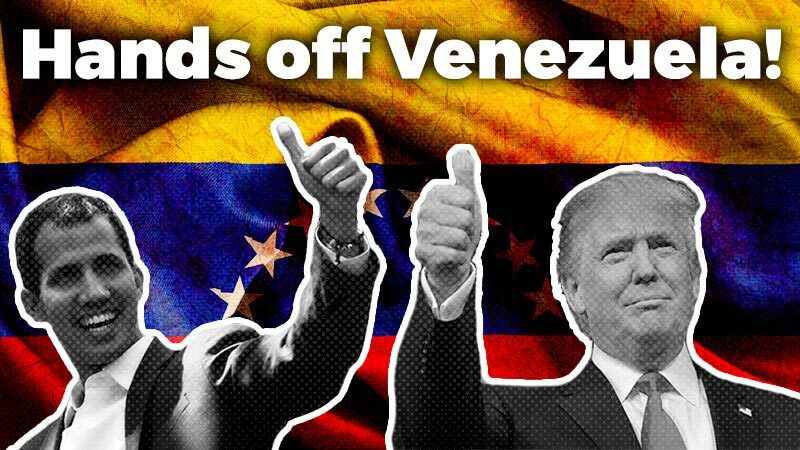 Fourth, there are groups just getting off the ground in Uruguay and Venezuela. Each of these activities is marked by differing national conditions. In successive conferences we discussed how the newer TF-FI groups did not have to evolve in the same way the PTS did. In this context, we discussed the proletarianization of our organizations and the development of digital newspapers in each country. Now there is the risk that the development of the newspapers and the presentation of electoral candidates, which enable us to agitate around our program “from above,” may take more of our energy than necessary. Thus, a central axis of the discussions at the 11th Conference was how to capitalize on all these advances that the different groups have made in order to consolidate our organizations’ center of gravity in the class struggle. In this regard, the following themes were discussed as the central issues concerning the orientation of our organizations: (a) the relationship between propaganda and organization, (b) the importance of developing and consolidating “strongholds,” (c) neo-reformism as a fundamental obstacle to the development of revolutionary organizations, (d) the struggle to orient mass “movements” (women’s movement, democratic movements, etc.) toward the class struggle, and (e) deepening and expanding TF-FI’s theoretical production. Delegations from different TF-FI organizations participated in the event, including the following: Partido de los Trabajadores Socialistas (PTS) from Argentina; Movimento Revolucionário de Trabalhadores (MRT) from Brazil; Partido de Trabajadores Revolucionario (PTR) from Chile; Movimiento de Trabajadores Socialistas (MTS) from Mexico; Liga Obrera Revolucionaria (LOR-CI) from Bolivia; Corriente Revolucionaria de Trabajadoras y Trabajadores (CRT) from Spain; TF-FI comrades from Courant Communiste Révolutionnaire (CCR), which is part of the NPA (Nouveau Parti Anticapitaliste), in France; Revolutionären Internationalistischen Organisation (RIO) from Germany; Frazione Internazionalista Rivoluzionaria (FIR) from Italy; Resistencia Sur from Peru; and Organización Socialista from Costa Rica. Also present were comrades from Left Voice in the United States, Liga de Trabajadores por el Socialismo LTS in Venezuela, and FT in Uruguay. 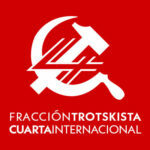 The Fracción Trotskista—Cuarta Internacional (FT-CI) / Trotskyist Fraction—Fourth International (TF-FI) is an international tendency of revolutionary organizations. 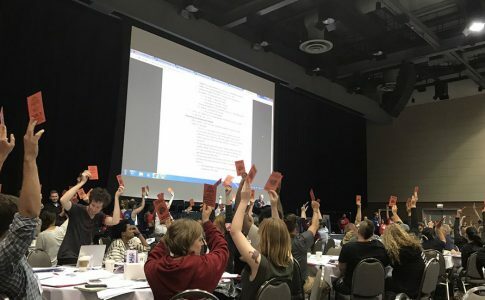 A brief run-down on events at the DSA National Convention. 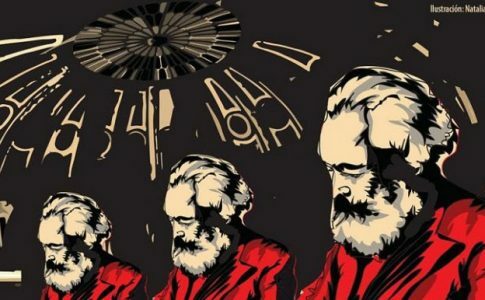 What would happen if Marx met Trotsky?